Hypsometric Maps are maps that show elevation with shades of color. It is most commonly done with earth tones. 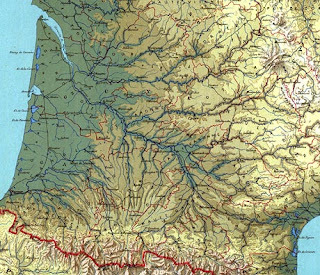 Above is an example of a Hypsometric Map of France. Usually the darker the tone, the higher the elevation.